We know what you are facing and we can help. If you have ever been hurt at work, you are aware that dealing with your employer or insurance companies can be one of the biggest hassles in your life. It can feel as if you are being pulled in several different directions when your employer wants you back at work too soon after the injury, the insurance company sends your check late (or not at all), medical treatment for the accident is denied, or even when your adjuster treats you as if you are making the whole thing up. These problems leave you feeling angry and frustrated. You are trying to fight with all of these issues and support yourself and your family at the same time. It can literally drive you crazy. When you call J. David Smith, Attorney at Law, you will not be pawned off on a call screener, secretary, or paralegal. You will talk with our Baton Rouge workers’ compensation lawyer one on one. We would be happy to speak with you about settlement opportunities and values, approval of medical procedures, return to work issues, average weekly wage calculation and any other aspect of your case. Call our firm today at (855) 973-1098. 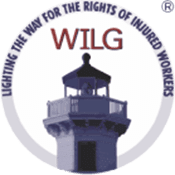 If we both feel that we can help with your problem, we will perform a thorough case evaluation by obtaining necessary medical and employment records to determine what needs to be done to protect your rights or to ensure that you receive all of the workers’ compensation benefits to which you are entitled. None of this costs you anything to you. Attorney J. David Smith is happy to speak with you personally on the telephone or by email, about your case.